Policy analysis groups are established as temporary creative teams consisting of civil servants that work upon the search for strategy and ways of addressing a specific actual problem in the priority area of a respective government body. 4. The Memorandum of Understanding between the Government of Ukraine and the Government of Canada on the reform of human resources management system in the Ukraine’s civil service that was signed on 26.05.08. Policy analysis is a set of practical tools on the preparation of policy decisions that includes comprehensive analysis of existing trends and problems, assessment of their causes and implications, formation of alternative ways of problem solving and selection of optimal options. Participation of civil servants in the functioning of policy analysis groups is classified as in-service scientific research. 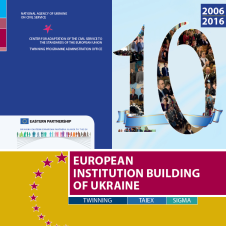 Policy analysis groups include 10-12 civil servants of III-IV categories representing various structural departments of the respective executive power body, in particular: heads of structural departments on European integration issues, civil servants participating in the elaboration of budget proposals and inquiries of central executive bodies; civil servants participating in the planning of the activity of executive bodies; civil servants occupied with public relations and mass media, and employees of personnel units. Head and composition of policy analysis groups are endorsed by the leadership of a respective executive power body. Policy analysis groups represent a mechanism of improving the system of planning, making and coordination of public policy in state authorities. Participation in policy analysis groups promotes the formation of practical skills in the sphere of policy analysis, impact of government decisions, benefits and costs, organizations of effective communications. Policy analysis groups proved their effectiveness during the preparation of state authorities to the application of institution building instruments Twinning and TAIEX. - Reform of the system of professional training for civil servants. Public awareness about activity of government bodies and their participation in the process of increasing institutional capacity of Ukraine’s civil service and its approximation to the standards of the European Union is an important prerequisite of success in the development of the civil service. Openness of intentions, transparency in decision-making and activity of the Main Department of the Civil Service of Ukraine are shown in public reports containing information about specific outputs and results of its work based on the declared priorities. Public reports are issued in Ukrainian (circulation of 5000 copies) and English (circulation of 2000 copies) and disseminated among politicians and officials of central and local executive bodies, educational institutions, centers for re-training and advanced training for employees of public bodies, bodies of local self-government, state enterprises, institutions and organizations. Automation and implementation of information systems for accounting and financial analysis in a market economy conditions in Ukraine today is one of the most important tasks of any institution. Itself accounting in the company is only one component which can be regarded as an internal affair of enterprise, the other one - evaluation of financial and economic activities of the this enterprise by the state (reporting, writing of which is very time consuming process). That is why computer programs can save time and effort accounters by automating routine operations and finding arithmetic errors in accounting and reporting, as well as give an assess of the current financial situation of the enterprise and its prospects. Today the leader makes a decision under uncertainty and risk, forcing him to keep under control the various aspects of financial - economic activity. This activity is reflected in numerous documents containing diverse information. Correctly processed and systematized it is in some way guarantee good governance. Opposite, the lack of reliable data can lead to incorrect management decisions and the consequent severe losses. "1C: Accounting", designed to automate accounting and tax accounting. Provides decision of key tasks that accounting department faces as well as allows to provide VAT accounting, payroll, tax accounting, preparation of standard accounting reports, etc. • to make amendmends to the mural, income exemptions, provision, financing and repayment of loans of the State budget, etc. "PARUS-consolidation" - a comprehensive automation system of consolidated accounting designed for large enterprises and institutions that have a large number of reporting structures, which periodically report to the parent organization. Functionally flexible system allows to build and analyze information of various aspects, for example, to perform construction accounts, collect and analyze statistical information on various areas of activities of reporting agencies, data processing, etc. * Exchange of information between accountable agencies. - development of automated system of civil servants personal data - system "Card". Draft Decree of the President of Ukraine "About Differentiation of Political Positions and Positions of Civil Servants in the System of Central bodies of Executive Power"
Draft resolution of the Cabinet of Ministers of Ukraine "On Introducing Changes to the Procedure of Holding Competition on Occupying Vacant Positions of Civil Servants"
Draft resolution of the Cabinet of Ministers "On Introducing Changes to the Procedure of Keeping Personal Files of Civil Servants in the Bodies of Executive Power"
Draft resolution of the Cabinet of Ministers of Ukraine "On Introducing Changes to the Procedure of Forming Staff Reserve for Civil Service"
The OECD Committee on Public Governance (PGC OECD) is a recognized worldwide platform for exchange of best practices in public administration. extends the best elements of good governance and contributes to improving government efficiency, transparency, responsibility and accountability. In the framework of its activity the Committee holds a number of specialized researches aimed at improving public administration systems in those countries where they are conducted. To enhance the effectiveness of their researches they involve leading academics, officials and experts. In 2008, the OECD conducted a research "Public Administration Review - Ireland: towards an integrated public service." OECD provides new and different types of analysis, aimed at contribution to a renewed Ireland public administration development agenda and international attempts to comprehensive approaches to public administration reform. After its developing a number of important and specific recommendations for public administration reform was developed. In addition, a series of public consultations was held. In 2010 OECD presented research about Estonia and Brazil. On the 42-th session of the Committee on Public Governance (Venice, November 15-17, 2010) there were held working consultations with the Secretariat of the Committee on the possibility of Ukraine’s initiation of a public administration survey. The suggestion was endorsed and OECD coordinators on public administration system research sent a formal invitation concerning the beginning of research process in Ukraine. 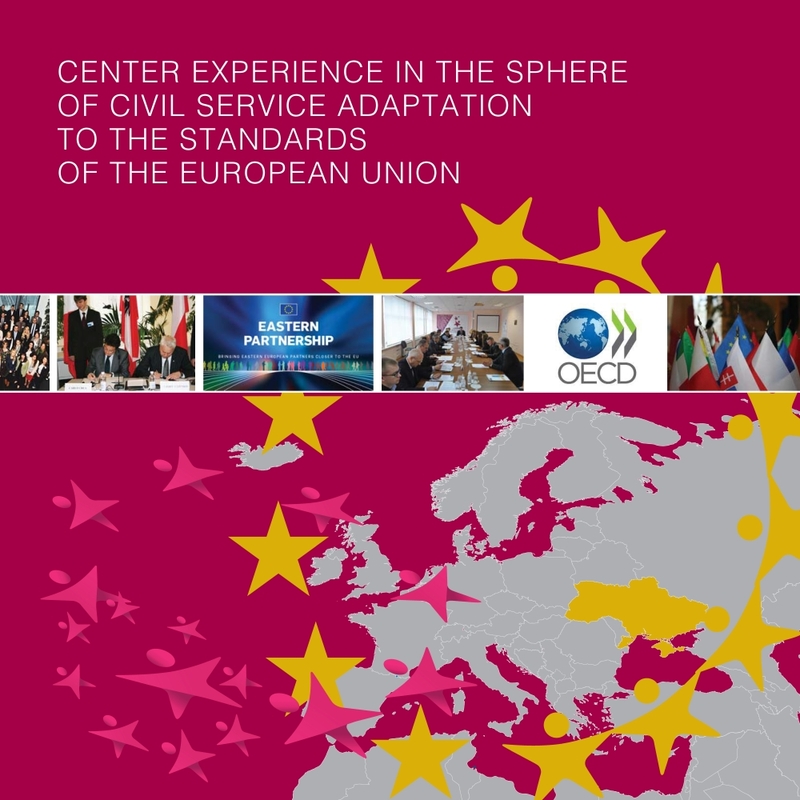 Within the MDCSU cooperation with OECD / EU SIGMA programme SIGMA experts were suggested to assess the basic indicators of governance, like the one that was elaborated in 2006/07. Nevertheless, the Commission refused to finance this work because the previous program record from the Ukrainian side was not considered. Another important research conducted by the OECD is a study called "Government at a Glance." 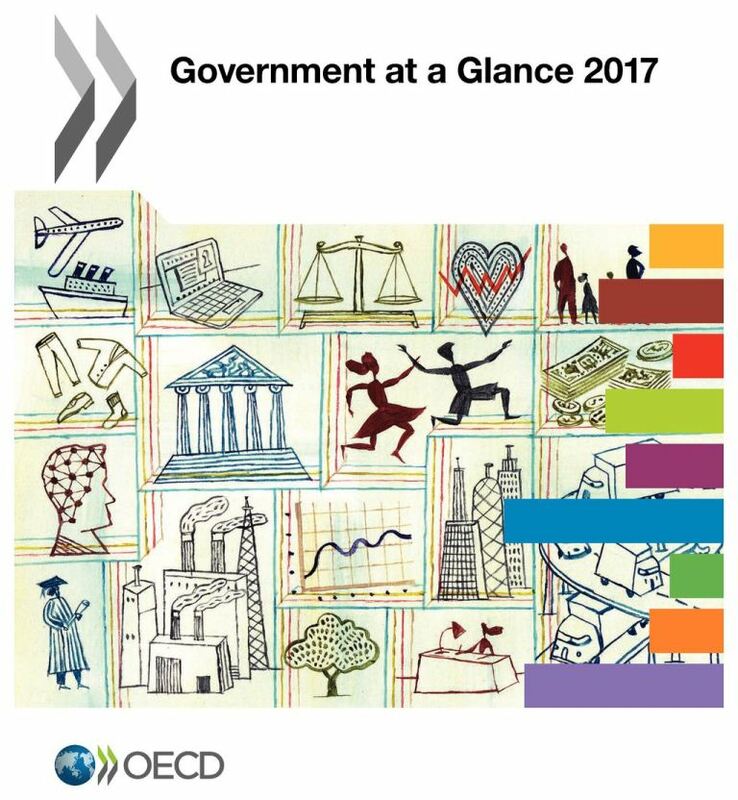 This biennial OECD study examines the OECD countries governance by 30 indicators. The research includes a comparison of political and institutional frameworks of government functioning, contains data on revenues, expenditures and employment, indicators of openness, integrity and e-government. Past research was issued in 2009. On June 25, 1992, in Istanbul 11 countries have signed the Istanbul Declaration on Black Sea Economic Cooperation, which defined general framework of this interstate association. Member states shall cooperate in the following areas: trade and economic development, finance and banking, communications, energy, transport, agriculture, health and pharmaceutics, environmental protection, tourism, science and technology, cooperation in culture, exchange of statistical data and economic information, cooperation between customs authorities and humanitarian contacts, combating organized crime, etc. Working groups that meet regularly to discuss specific areas of sectoral cooperation are subsidiary bodies of the Black Sea Economic Cooperation. In April 2009, Ukraine got the status of BSEC country coordinator. During the meeting on October 27 – 28, 2009 , which was first held under the chairmanship of Ukraine, the Action Plan for 2009 – 2011 was ratified. Ukraine actively participates in the Working Group meetings, which promotes the deepening of cooperation with BSEC member countries, including Greece, Armenia, Azerbaijan, Turkey, Russia, Romania, Moldova, Bulgaria, Ukraine and others. Ukraine’s status of a country coordinator strengthens its role in BSEC, boosts Ukraine’s impact on development and functioning of the organization, provides an opportunity to spread the experience gained by Ukraine in the sphere of governance among the members states of BSEC, produces and implements joint initiatives to improve its own image in the region. On April 8 – 9, 2010 , in Istanbul the BSEC Working Group meeting on Institutional Renewal and Good Governance took place. Ukraine as a country coordinator for 2009-2011 was represented by Andriy Bega, the First Deputy Director of the Center for Adaptation of Civil Service to the European Union Standards. The meeting was attended by the representatives of nine countries - Azerbaijan, Armenia, Bulgaria, Egypt, Russia, Romania, Slovak Republic, Turkey and Ukraine, as well as representatives of the Secretariat of BSEC. During the meeting the participants exchanged experience on evaluation of civil servants, as well as the information on national policies, progress and best practices in the reform of public institutions and strengthening the capacity of governance in the Member States. As a result of the meeting, participants made suggestions for implementation of joint initiatives as part of the Working Group.